Wearable technology will never be the same again when Samsung Electronics Co Ltd (KRX:005930) unveils its new batch of wearable gadgets at the IFA technology show in Germany. The batch contains two ‘phablets’ and two wearable devices that will be coming to the stores in U.S around October. The gadgets are set to raise the boundaries of wearable technology. Samsung Electronics Co Ltd (KRX:005930) is already a household name in technology, raising pulses all across the market. One of these gadgets is the Gear VR, which in essence is a headset. The Gear VR is a thing of the future, with the headset in synch with your Samsung Electronics Co Ltd (KRX:005930) Smartphone. The gadget has its own proximity sensors to detect your face, giving you a live and interactive experience of what’s happening on your phone screen. Such gadgets were only visible in SCI-FI movies a decade or two ago, but Samsung Electronics Co Ltd (KRX:005930) in collaboration with Oculus VR has brought it to the actual surface, giving wearable technology more credibility and setting the market ablaze. Gear VR will be helpful in all kinds of virtual experiences such as gaming, movies, virtual tours, education etc with an experience that will transcend 3D. 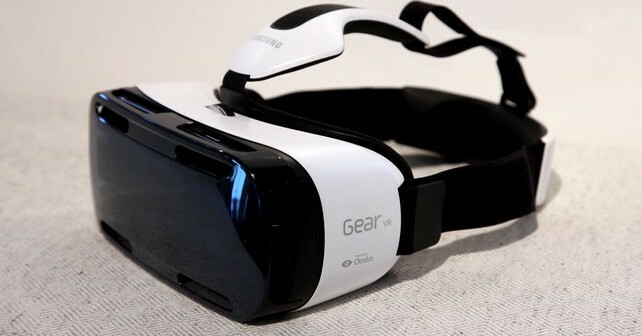 Gear VR has different inbuilt buttons specified for interaction and various virtual elements. There is a similar project in the pipelines for Sony Corp (NYSE:SNE) but it’s just an accessory for video gaming on Playstation 4. Samsung Electronics Co Ltd (KRX:005930) hasn’t released any price points yet but the product will ship in the last quarter of the year. Gear VR doesn’t have the problem of nauseating the user, which has been the problem in the past with 3D devices. However, Samsung Electronics Co Ltd (KRX:005930) states that the device can only be used by a single individual, refuting the curiosities about ‘shared experience’. Gear S is a smart watch, a useful addition to Samsung Electronics Co Ltd (KRX:005930)’s gadget line and an exquisite gadget on its own. The watch is rather bulky in size but not flat as most smart watches are. Its effectiveness is proved in the fact that you don’t necessarily have to be near your phone to make or take calls. It comes with an internal battery giving you ample battery life but needs to be taken off when being recharged. Gear S comes with numerous sensors but a new function called the UV sensor warns you about the exposure to sunlight. Gear S comes in two colors- black and white and the bands are exchangeable, just in case if fashions statement is a problem. The GPS comes in handy in giving directions, another commendable feature. The voice command feature is prominent and quite loud. It’s also expected to be shipped out this fall, although Samsung Electronics Co Ltd (KRX:005930) haven’t confirmed it officially. Samsung Electronics Co Ltd (KRX:005930) will aim to go beyond the horizon with these gadgets, and cement its place as a strong rival to Apple Inc (NASDAQ:AAPL) Inc and other technology giants. Samsung Electronics Co Ltd (KRX:005930) is already respected in the market, for its amazing gadgetry and proving their claims. Their new batch of wearable gadgets will make them a company to bank upon with absolute trust.